Join Melinda for her 5th Annual Lily Dale Bus Trip on Saturday, July 20th! Lily Dale Assembly is the nation's oldest Spiritualist community, filled with Mediums, Shamans and Healers. Experience a spiritual one-day trip to feed your Soul - with Melinda! Tickets are $70 and we depart from Cleveland, OH to travel by luxury bus to Lily Dale, NY. Purchase your tickets on the Special Events tab. 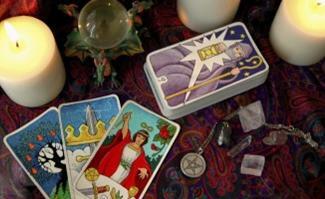 Melinda's 4th Annual Psychic Fair is on Sunday, March 3rd at 11:00 am to 5:00 pm at Yorktown Lanes, 6218 Pearl Rd. in Parma Heights. OH. Featuring NE Ohio's most beloved & respected readers, doctors, energy healers, holistic health and tons of shopping. ADMISSION IS FREE! See the Special Events tab for the full list of readers and vendors. The West Main St. Winery presents a Spirit Gallery with Melinda Carver on Monday, January 21st at 7:00 PM to 9:00 PM! Join us to connect and receive messages from your Loved Ones, Spirit Guides and Angels during this moving and entertaining message service. Tickets are $35 per person. You may pre-pay at the winery to hold your spot or pay the evening of. Tickets are first-come, first served. We are located at 234 West Main St. in Ravenna, OH. 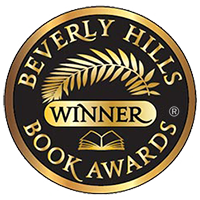 Beverly Hills Book Award Winner! Everyone has a Spirit Guide - this is your opportunity to meet yours! Discover what a Spirit Guide does, how they assist you in this life, what type of guidance they provide and how to obtain more guides during trying life issues. This class also features a lived, guided meditation to meet your guide, plus Messages from your Spirit Guides. $50 per person. Explore the spiritual side of your Sun Sign, Rising Sign and Moon Sign. Discover how your Zodiac signs impact your Mediumship and Healing abilities. $10 per person. Spend the day with the Archangels! Explore the realm of Archangels, how to connect with them, ways to deepen your connection, working with them in your daily life and how to be a stronger Medium with the Archangels. This all day class (lunch break and mini-breaks), will inspire you, guide you and raise your vibrations to connect with the Archangels. Also included is Melinda's very popular Archangel Healing Frequency Meditation - a live guided meditaiton connecting you to the Angelic realm. $100 per person. Lily Dale Assemlby is located at 5 Melrose Dr. in Lily Dale, NY. Attune Magazine interviewed Melinda for her 2018 COVR Visionary Silver Award for Best Self Help or Personal Growth Book for Get Positive Live Positive. Check the interview out at this link: Attune Magazine Melinda Carver Interview. Melinda is thrilled to receive the 2018 COVR Visionary Silver Award for Best Self Help Book for Get Positive Live Positive! The COVR VIsionary Awards were held on June 16th at INATS in Denver, CO. Melinda is now an award-winning author. To learn more about the awards, visit www.covr.org. 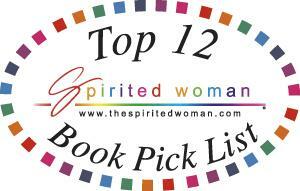 Melinda's book Get Positive Live Positive was selected for Spirited Woman's Spring Top 12 Book Pick List! Spirited Woman features books that inspire, empower or assist women around the world.